Staten Island, N.Y., September 16, 2013 – DiMarzio, Inc. is pleased to announce the release of two new Illuminator™ humbucking pickups for 6-string electric guitars and two new Illuminator 7™ humbucking pickups for 7-string electric guitars. 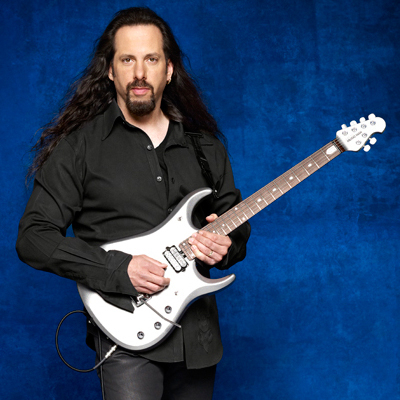 The Illuminator™ and Illuminator 7™ pickups were designed for Dream Theater guitarist, John Petrucci’s new Music Man® JP13™ guitar, and are also available for retail sale from DiMarzio. The new Illuminator™ (DP256 and DP 257) and Illuminator 7™ (DP756 and DP757) Neck and Bridge Models represent the next generation in Petrucci’s signature pickups with DiMarzio. John says he looks for versatility in his pickups so that he is able to span a multitude of different sounds within one guitar, going from massive overdrive, very tight, rhythmical and aggressive to “more expressive, dynamic and very liquid” when he plays solos. The Illuminator™ pickups are a bit bold — with more of the clarity and presence that John demands. The Illuminator 7™ pickups have the clarity and presence that a 7-string pickup needs, balancing vintage and modern qualities without sacrificing the best of either. John used the new Illuminator™ and Illuminator 7™ pickups during the recording of Dream Theater’s upcoming self-titled album. The album will be available September 24, 2013 on Roadrunner Records. DiMarzio’s Illuminator™ and Illuminator 7™ Neck and Bridge Model pickups are made in the U.S.A., and may now be ordered for immediate delivery. Suggested List Price is $129 each for the Illuminator™ Neck and Bridge Models, and $139 each for the Illuminator 7™ Neck and Bridge Models. 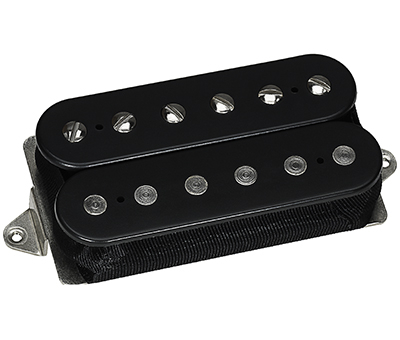 For more information about Illuminator™ and Illuminator 7™ pickups, please visit our website at www.dimarzio.com. And here’s a video of John demonstrating his new pickups.